Ignore. Testing for multi post. Er, no, you do not test; staff and admins do. So Eggman managed to flood the whole South Island. Nice concept. Can't wait to see the full hack. Noooo! not Echo the Dolphin! I managed to beat that game recently but I was crying by the end of it. In all seriousness I would like to try it to see how it would play like Echo or if you give it better controls, so I'm intrigued at least. ​Can't like it due to being a trial member, but, man, this looks awesome! Can't wait to try it. ​It's been too long, Bananaman. This is really lookin' interesting. Definitely keeping an eye on this to make sure I can have it as soon as possible when it's released or whatever. As some of you know, some time ago, I posted a picture of Angel Island act 2 from my hack, showing palette and my attempt on improving layout and level design. I found the layout from SHC2014 wasn't good, and I thought it could be better, then I decided redo some section and do new paths to make layout more explorative to incentive to find some rewards like, hidden Giant Rings and some monitors or whatever. When I finally finished the layout, I decided post a video in Youtube with both of acts (in fact, I had already posted the video two months ago, I was busy with other things and with a bit of laziness, I apologize). I thought I might show it there. I hope this layout is better than SHC2014 demo. Criticism and opinions are welcome. 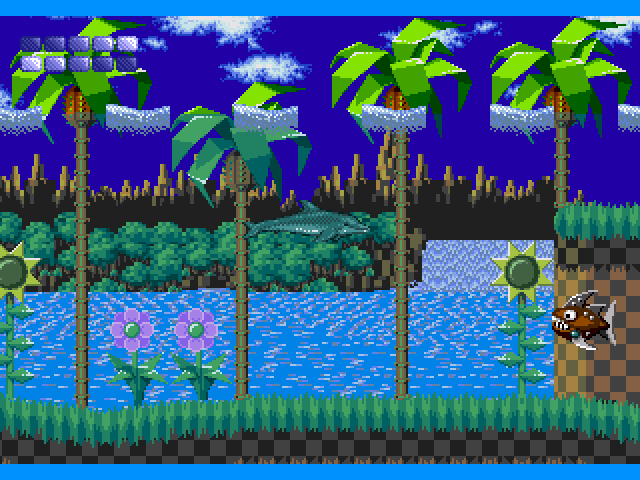 P.S: About Neo Green Hill port, this is a old version, I've updated this one already, here's it. Looking solid so far, the only thing I could suggest would be to possible cut down on the platforms a little since you've used alot, maybe you can use something else or some chunks. You've used a few to connect chunks together so maybe you could cut one out for something else or change that bit of the layout. 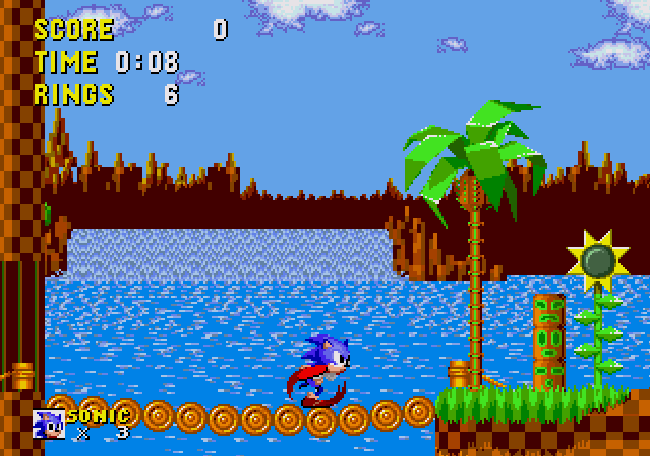 Maybe throw another loop in and let sonic gain a bit of speed for a little while since there is alot of platforming I feel it would be nice to have at least one running section. This palette isn't quite finished, I'm contemplating changing the grass slightly and blending the clouds in more to make them look like realistic clouds. It's meant to be an early morning type setting. Thoughts? Also, I can't think of what to name this level. Any ideas, anyone? 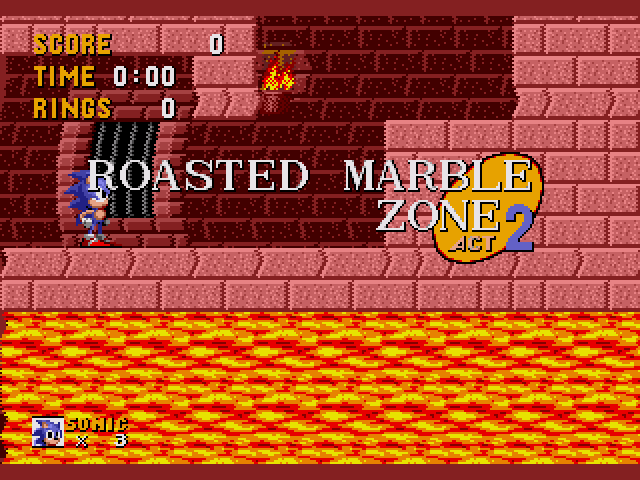 It'll hopefully look different from Green Hill Zone once I've done the tiling, but admittedly currently the only name for the level is Green Hill Zone.